The primary reason why I wanted to visit the Art Institute of Chicago is to see the painting of Grant Wood called American Gothic. So I was disappointed to know after talking to the concierge that the iconic work of art, which shows two farmers in Iowa - a woman and a man with a pitchfork - was on loan somewhere else. Still the visit to the museum was not a disappointment at all. 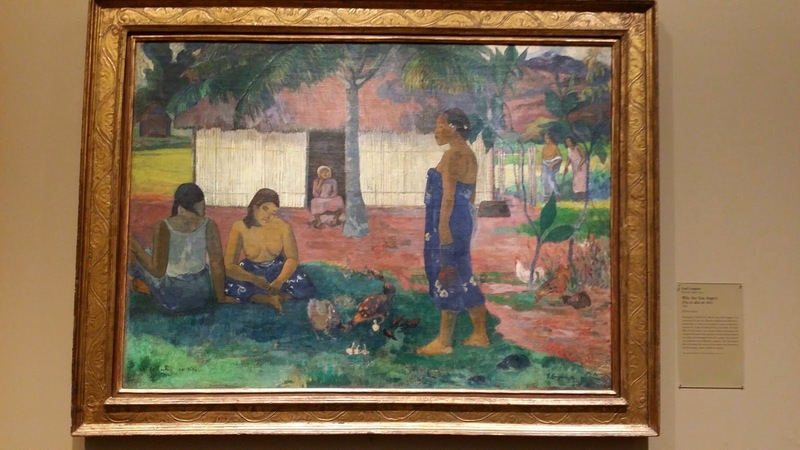 I got to see another favorite painting of mine and then some. I only had the opportunity to visit the museum on my second time in Chicago, last fall. We were exploring the Magnificent Mile and the Millennium Park all morning, and we were able to swung by the museum after lunch, after visiting the Bean once again. 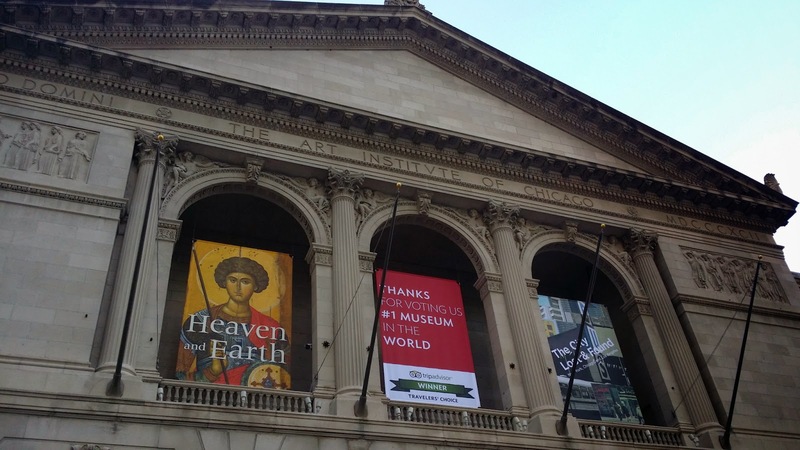 The Art Institute of Chicago is the second-largest art museum in the United States, second only to the Met. It was founded in 1866, and found its home at a Beaux-Art building along Michigan Avenue in Chicago . We came in through the new wing that was added to expand the museum. The new wing was designed by Pritzker Prize-winning architect Renzo Piano, who also spearheaded the design of the New York Times building in New York and the Shard in London (another Chicago landmark was name after Pritzker, the Jay Pritzker Pavilion). The modern Wing, as it is called, houses the museum's modern European paintings as well as its contemporary art, architecture and photography collection. It was very impressive, with its glassy facade and modern, minimalist lines. 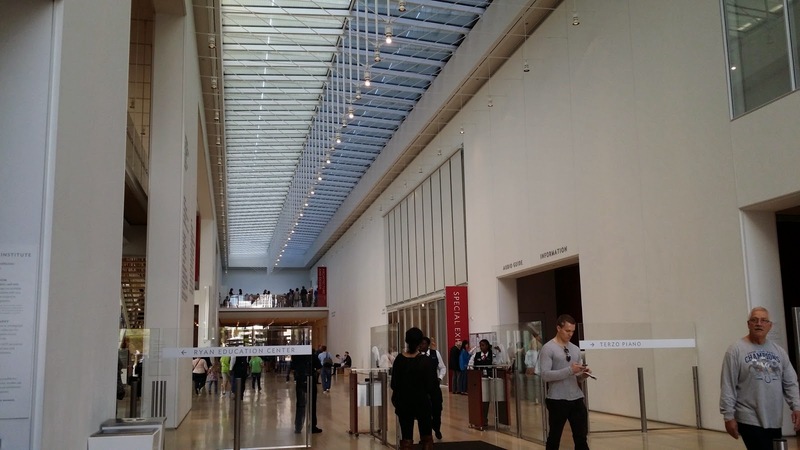 Architecture is actually one of the things I enjoy most in Chicago, and the new wing adds to that cachet. 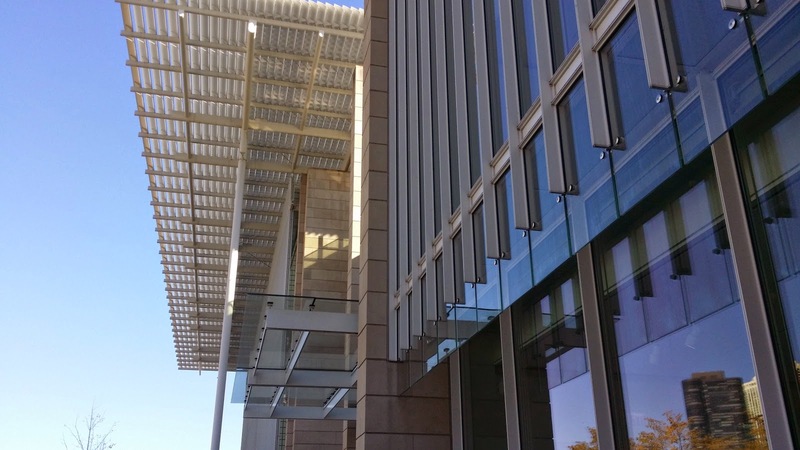 The entrance to the new wing is called the Griffin Court, which is flanked by two glass-clad pavilions. This is where we got our tickets, and where I got the bad news that the American Gothic is not on exhibit. But as I said, the museum has plenty of magnificent artworks to make up for it. There are two other paintings that I wanted to see in the museum, the one by Edward Hopper, called Nighthawks, and a masterpiece by Georges Seurat, called A Sunday Afternoon on the Island of La Grande. 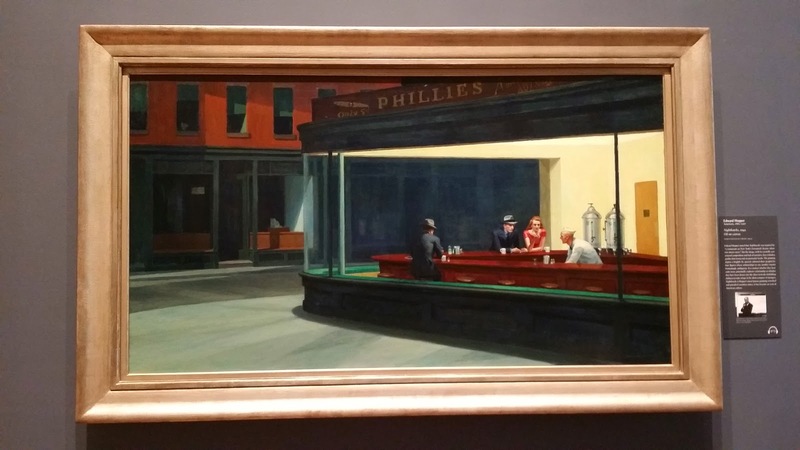 There are plenty of interpretations for the Nighthawks painting, which shows four people in a diner, painted as if they appear in a film noir popular in the post-war United States. Some say it signified detachment and social isolation, while leaving the story, if there's any, of what's happening in the painting to the viewer. The other painting, by Seurat, shows a scene of people relaxing on a riverbank. It is a great example of the pointillist work, and according to critics, the painting shows social and political significance. Before I got to see the paintings we explore the other galleries that who a special exhibit covering Byzantine, Hellenic and Roman eras. Photography is not allowed on some parts of that exhibit, so I was only to photograph those near the entrances. 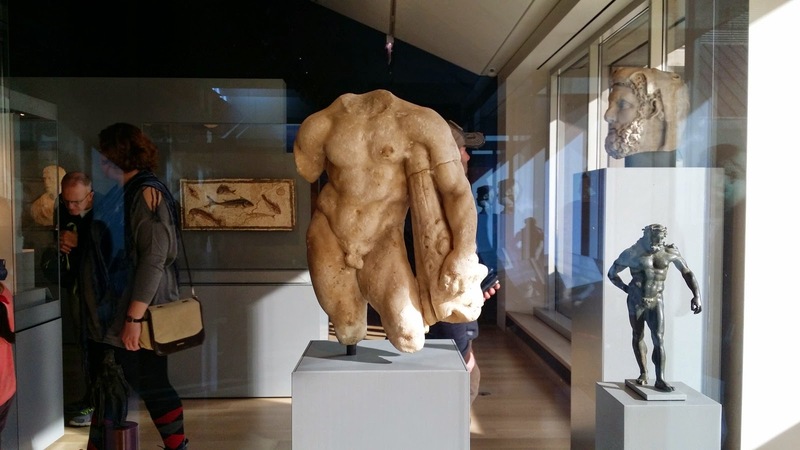 There were lots of objects from the antiquities on display - urns, marble statues of gods and naked gladiators, mosaics, jewelry, coins, religious objects, and everyday tools and implements. 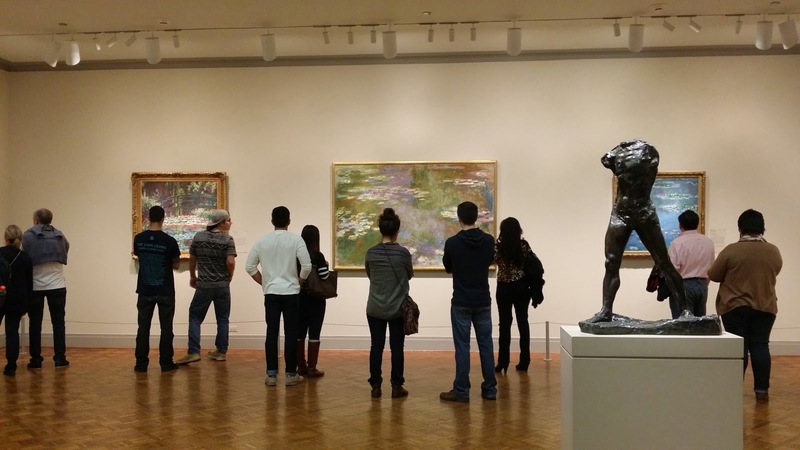 After the antiquities sections we proceeded to the galleries showing the Impressionist and Post-Impressionist works. 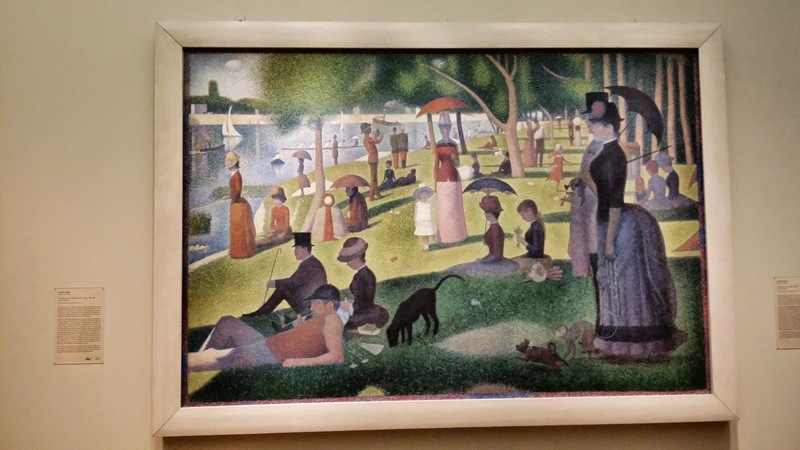 Here I saw the Seurat painting, which is larger than I imagined. 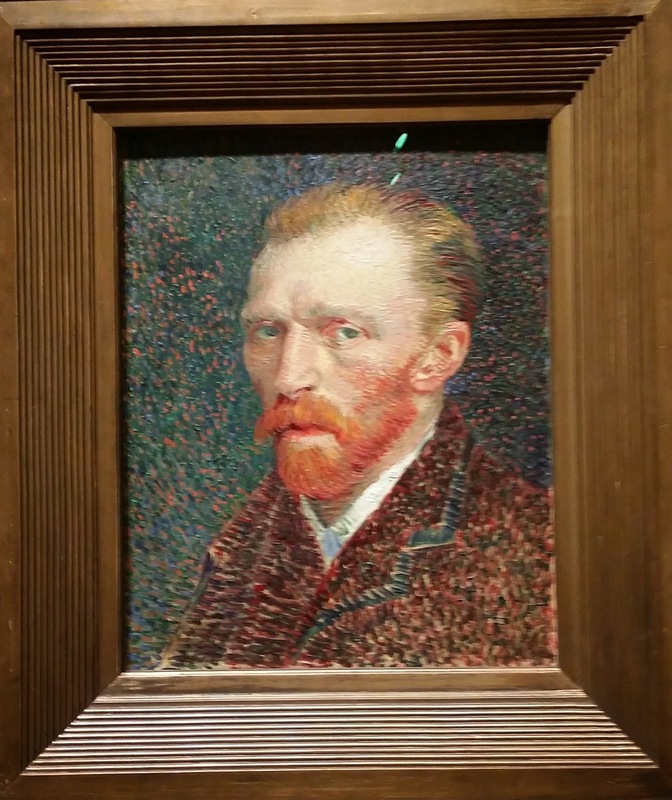 There's also one of the earliest selfies in history - the Self-Portrait by Vincent van Gogh - on display, as well as his The Bedroom in Arles. I saw some paintings by Picasso, Gaugin, Monet, Cezanne, Renoir and Henri de Toulouse-Lautrec. It's like Humanities II from college all over again. From the European section we proceeded to the American collection, where the American Gothic should have been. There I saw several works by Georgia O'Keefe, and of course, the Nighthawks. 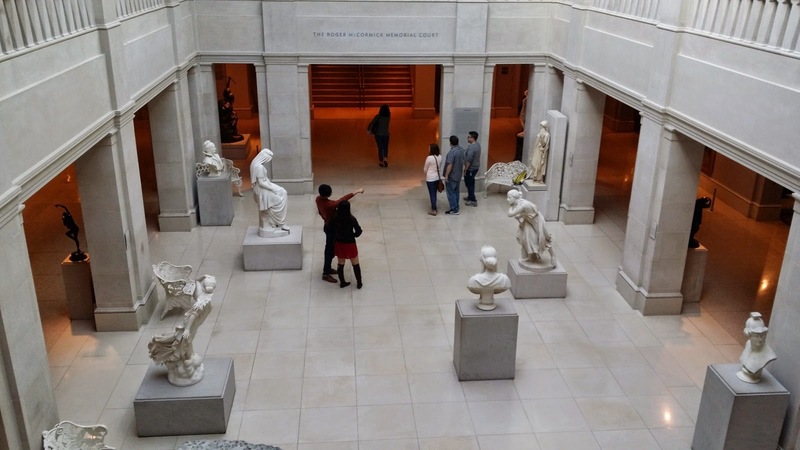 There's also a gallery called Roger McCormick Memorial Court, which showcases, among others, sculptures by Lorado Taft, who was from Illinois. The sculptures are almost life-sized, showing classical scenes. There were other sections in the museums that we were not able to visit, including the photography collection, the African American art, and the decorative arts sections. I will be saving those for next time. 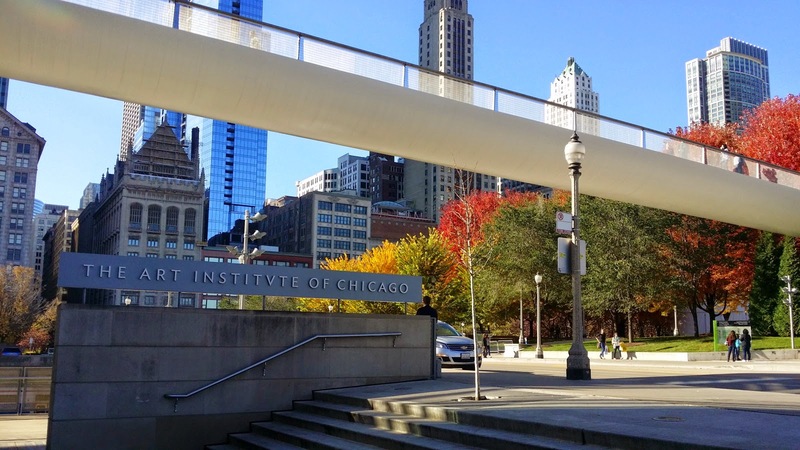 The Art Institute of Chicago is located at 111 South Michigan Avenue in Chicago, just adjacent to the Millennium Park. There is actually an elevated 60-foot high walkway that will take you from the park straight to the Modern Wing. If taking the subway, get off Madison/Wabash and walk towards Michigan Avenue to the park. Madison/Wabash is serviced by the Brown, Green, Orange, Pink, and Purple Lines.